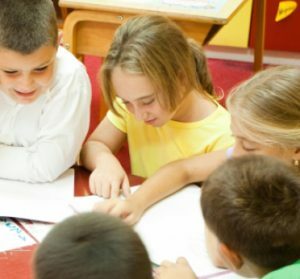 The most common reason children are referred to behavior therapy is due to scholastic problems at school, behaviors disorders such as low attention and concentration levels, hyperactivity, delay in achieving developmental milestones, delayed speech and language accusation and social functioning. Some time due to transition in life globally nomadic/expat children may show signs of emotional and social distress and you may be asked by your child’s teacher or pediatrician to seek counseling for your child. A typical behavior therapy consultation starts with a one-hour intake interview with parents at Rubina’s office in KB. This is followed by office observation of your child and may be followed by a home visit. After collection of sufficient information about the child’s presenting issue a behavior modification plan is prepared and implementation starts in the form of therapy. Rubina is trained in applied behavior analysis and Adlerian play therapy that helps to develop a customized behavior modification plan based on your child’s developmental and behavioral needs. Applied behavior analysis consist of working one to one with your child to develop eye contact, joint attention, develop expressive and receptive language skills. Foster eye hand coordination, gross and fine motor development. Rubina will help you and your family to use PECS (picture exchange communication) if your child is completely non verbal. PECS are an important component of applied behavior analysis and foster language and commination in children with autism spectrum disorder or speech delays. Autism spectrum disorder and developmental delay may also cause problems in social functioning of your child and this can be rectified and improved in social skills group training. Rubina regularly runs social skills training for children in small group of 4-5 children integrated according to their age and skill level. Social skill training focuses on skills like cooperation, sharing, waiting turns, working together, being polite, follow rules, emotional regulation and increase concentration and attention span. Social skills training group is a microcosm where your child will practice above mentioned skills under Rubina guidance, which in a due course of time will be internalized and translated in real life situations. Behavior therapy will improve your child’s skill and provide stimulus to foster development, which in return add to child’s self esteem, self-efficacy and confidence.